At Dependable Appliance Repairs, we can fix pretty much anything used to keep things cool. 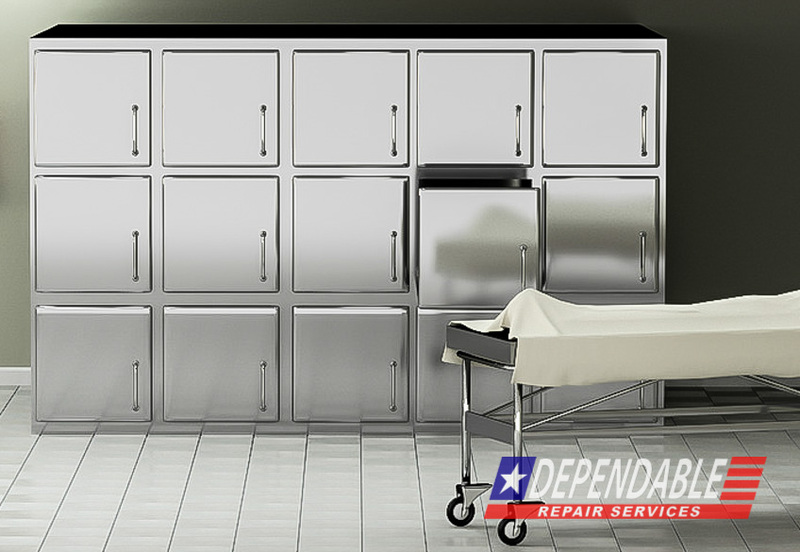 So when your mortuary cooler goes out of service and you need it fixed right away, that’s when you give us a call. We work with funeral homes all across the Metro Atlanta area to keep their body coolers fully functioning and ready for anything. Mortuary body coolers are essential for the every day tasks of a mortician. Not only for the obvious reasons of preserving bodies for burial but also because you need to keep the internal organs chilled to be preserved for transplants. When storing those who have chosen to be organ donors, the difference between a working refrigerator and a broken refrigerator could be the difference between life and death for the potential recipients. If you’ve gotten yourself into a tight spot and need emergency repair, give Dependable Appliance Repairs a call today. Our experienced technicians offer regular or emergency service calls for all of your body cooler repair needs.